A honeymoon road trip means tons of time together with uninterrupted hours to rehash and remember the big day, or to sketch out daydreams of the future. (And maybe a little of both.) Road trips make sense for spontaneous thrill seekers and map-plotting planners alike, and countless options abound for both budget-minded couples and those with travel money to burn. And would it be corny to point out that the open road is just the thing for those who love a metaphor? You know, “marriage is a journey” and all that. 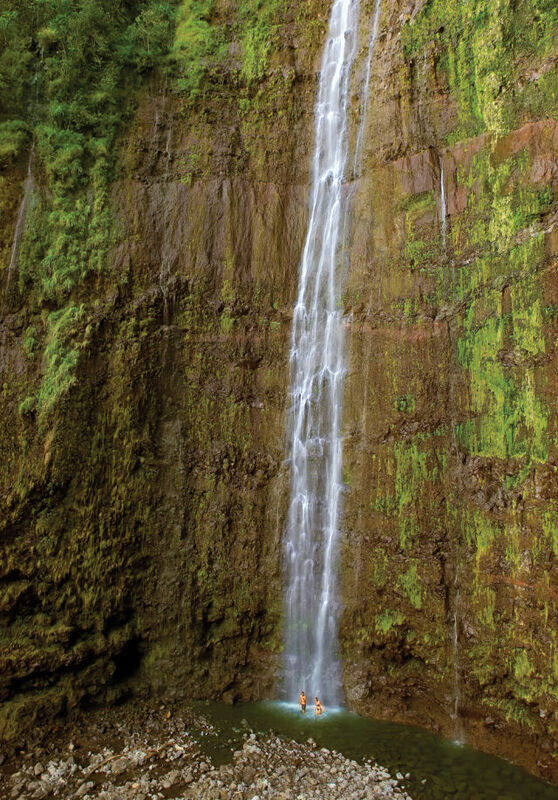 The 52-mile Road to Hana in Maui is the quintessential journey-is-the-destination drive. 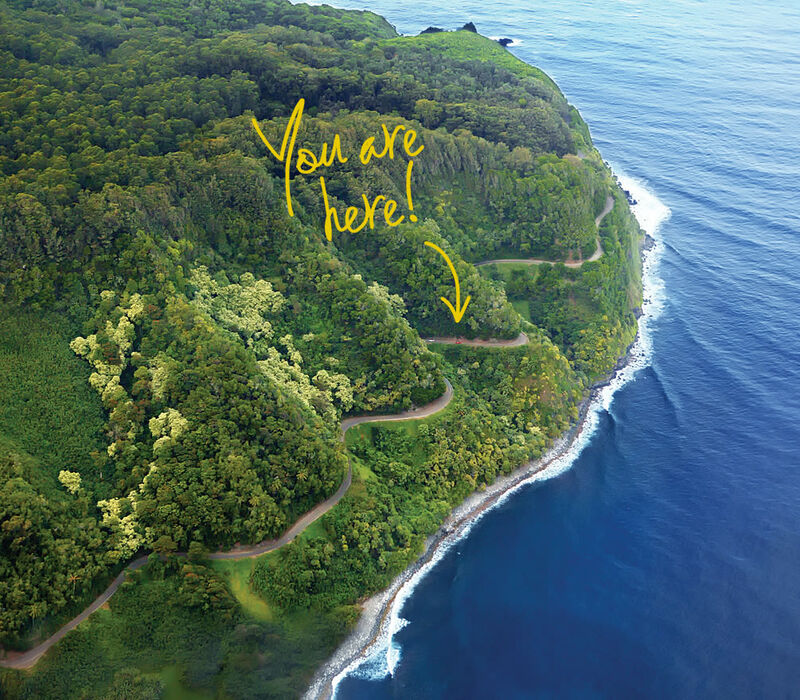 Sure, you could land at Kahului Airport and zip (traffic permitting) down the winding highway, arriving in Hana in about two hours—but with dozens of waterfalls, a bamboo forest, quirky roadside food stands, and secluded romantic nooks just waiting to be discovered, what’s the rush? 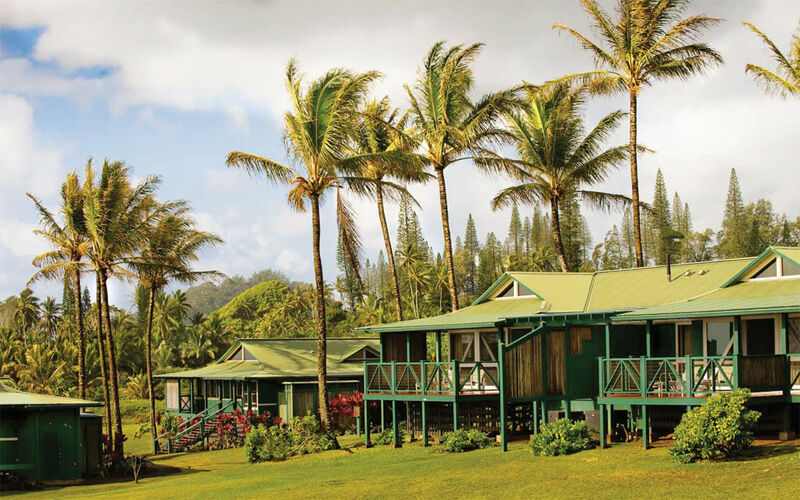 Far4 shop owner Jenny Klimenkoff and husband Jonathan Hudak, who took the trip on their February 2013 honeymoon, suggest basing yourselves at the beachside, all-inclusive Travaasa Hana resort and taking day trips along the coast to places like red-sand Kaihalulu Beach and hidden Waioka Pond. Rental: A Jeep in high season (December to March and June to August) starts around $95 per day. Book early and check your itinerary and rental agreement; many companies don’t allow drivers to steer down the unpaved roads on the south side of the island. Fuel: Under $40. Gas is more expensive in the Pacific, but this isn’t a long-distance run. • Support the locals by bringing a cooler to fill with fresh fruit from roadside stands. • Use Hawaiian names for places and directions. Mauka means mountainside; makai means oceanside. 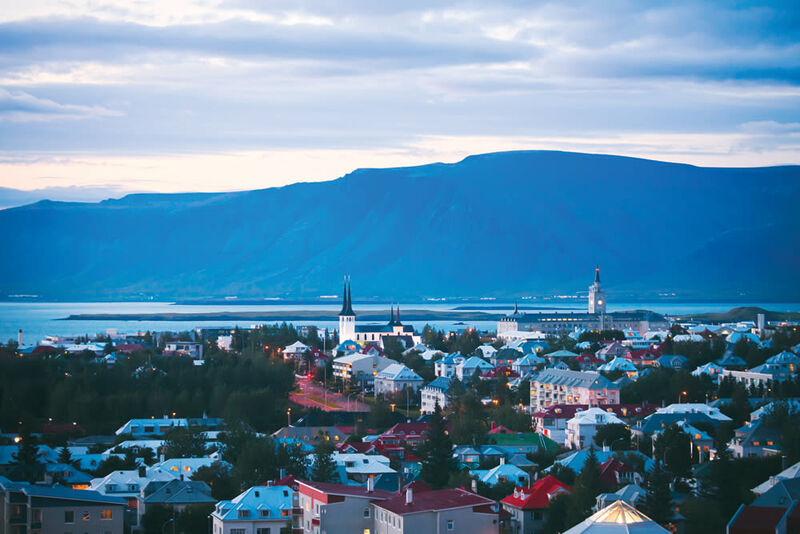 For the adventure-driven couple Iceland is like a gleaming, hot springs–studded Wild West. Its 830-mile Route 1 Ring Road encircles the entire island, passing glacier-filled lagoons, black sand beaches, and rolling lava fields. Summer’s 20-plus hours of sunlight per day afford visitors loads of exploring time. “There’s no one around at night when the light turns a gorgeous rosy color,” says Seattle- and Tucson-based photographer Krysta Jabczenski, who honeymooned there with Joel Leshefka in June 2013. “It was just us in the middle of epic nature for miles.” They recommend booking private accommodations from Airbnb along the way, or really roughing it—well, kind of—in a rented camper van. 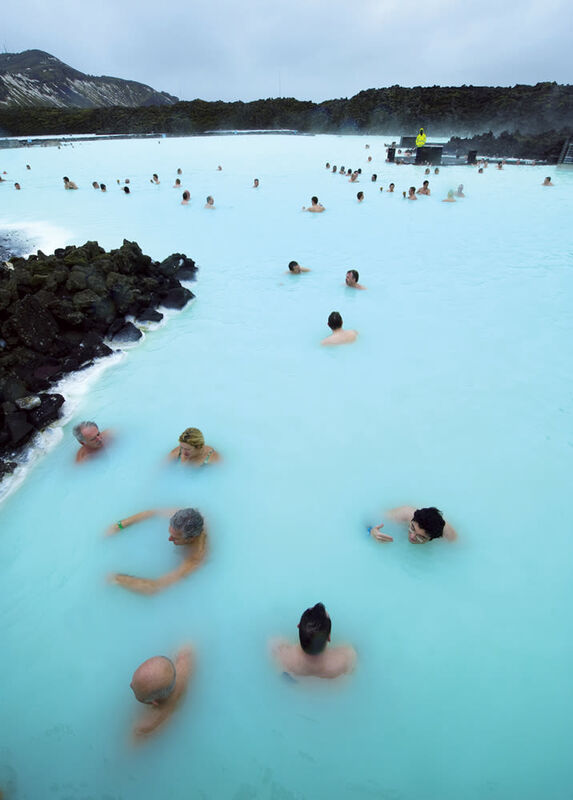 Not-to-miss sights: the geothermal pools at the Blue Lagoon, Reykjavík’s nightlife, and trekking across glaciers in the winter months. Rental: Standard cars in peak times (June to August) run around $65 per day, but you’ll pay more if you can’t drive a stick. Note that in the off-season some roads permit only vehicles with four-wheel drive. Fuel: To explore the entire Ring Road, budget at least $300 for gas. Remember, fuel prices in Iceland are listed in liters. • A device, like iTrip, to play music in the car; radio stations are scarce. • Wool everything—even in the summer, when highs hover in the 50s. • Sleep masks; long days equal short nights. And you will want to sleep some of the time. 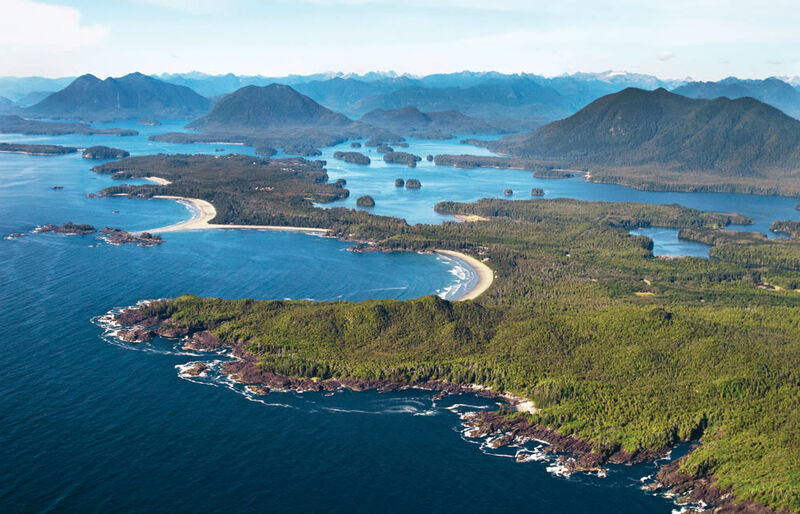 If a regional road trip sounds about your speed, and if crashing waves and salty ocean spray cue ideas about romantic adventure, consider Tofino. Requiring first a laid-back ferry ride and then the navigation of curvy Canadian roads, it’s a classic Northwest trip with a careful measure of foreign intrigue (which brings us to our first insider tip: don’t forget your passport! ). Local wedding photographer Ryan Flynn surprised wife Emily with this very special run-for-the-border for their first anniversary. The Flynns went in blustery October, which made the hot springs tour from Jamie’s Whaling Station-—complete with “rock pools filled with steaming mineral water, right on the ocean”—just about perfect. Ferry: The trip from Anacortes to Sidney on Vancouver Island takes three hours. Warning: there’s only one boat per day. Make a reservation, budget about $100 round trip, and get in line two hours before departure. Car: The drive to the town of Tofino takes about four hours, but the Flynns recommend drawing it out a bit. They enjoyed a relaxed lunch in Victoria, and the mist, greenery, and views near Kennedy Lake on the island’s west side. “The BC ferries are so nice; they’re on a whole other level,” say the Flynns. On the way home, they rerouted, opting for the Canadian boat from Nanaimo to Tsawwassen. Jet to Sacramento and wine your way through Sonoma’s cabernets and chardonnays, or head south to sample Santa Barbara pinot. California has five wine regions, each offering hundreds of tasting options—the hard part is picking an itinerary. For their April 2010 trip, Seattle fashion designer Tina Witherspoon and husband Adrian, an engineer at Sprint, focused on Napa Valley, taking an aerial tram to the mountaintop tasting room at Sterling Vineyards, and even running into Francis Ford Coppola at his famed winery in Alexander Valley. Wine country accommodations range from private tree-house retreats to luxury resorts and romantic boutique guesthouses like the North Block hotel in Yountville. Tourist season starts in the spring, but fall excursions give visitors a chance to see the harvest and pressing process in action. Rental: Cars start as low as $50 per day. Be sure you have enough trunk (and suitcase) space to take home a few bottles to open on anniversaries to come. Fuel: Budget at least $100 for the 400-mile trip through the state’s vineyard core, less if you stick to one region. • Spit it out, already. Leaving your wine behind keeps you clear-headed for the next château. • Limit yourself to three or four wineries a day; any more and your palate will be useless. • Don’t be intimidated. Wine tasting isn’t just for the well-studied. Ask questions and enjoy the experience. Here’s a pro move: one of you takes on the honeymoon and plans it for the other as a sweet surprise. That’s what Alistair Fulton did for his bride, Khadijah, a jewelry designer, after their September 21, 2007 union. “I chose Yosemite because it is like her: wild and natural with a spirit all its own,” he told us. But the English immigrant didn’t realize he’d need to book campground reservations for the 48-foot fully loaded RV he’d rented. At the last minute the Magnolia-based couple traded the RV for an SUV because finding available hotel rooms proved easier than finding available campsites. First rule of the road: roll with it! That’s exactly what they did, and proceeded to enjoy a few good pit stops before arriving in Yosemite Village about three days after their departure. Distance: You could make it to the park in about 15 hours if your goal was to power through, but you’ll want to at least consider the more scenic Highway 101 along the Oregon Coast’s sand dune beaches, and a day among the redwoods. Lodging was last-minute—remember our hero thought they’d be winging it by the campfire—but they ended up really loving the individual cabins at the Evergreen Lodge, complete with a deck, a stone hearth, and a stack of vintage National Geographics.